A specialist UK merchant of half bottles of wine has announced the launch of its online shop www.halfwine.com, the site offers an exclusive, easy-to-choose range of quality wines that are not usually available in 37.5cl bottles on the high street. The regularly updated range of recommended wines has been carefully selected to offer exceptional examples of the most popular wine varieties and styles. halfwine.com helps consumers to buy only the wines they know and like by guaranteeing excellent quality and recognisable flavour and aroma characteristics. Market research identified a gap in the market for fine wines in half bottles that are easily accessible. Of those questioned, many admitted to throwing away or cooking with good wine or even drinking the rest of the bottle a while later because they did not want it to go to waste. A half bottle contains 37.5cl (375ml), which equates to 2-3 glasses of wine. The target market for half bottles of wine is primarily single women and people aged over 50 who value quality over quantity and enjoy a glass or two of good wine in the evening. Whether the consumer wants to learn more about wine by trying new varieties or they are looking to save money and drink less; half bottles offer the perfect option. 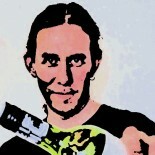 The halfwine.com range offers great quality gifts at a reasonable total cost. A 37.5cl bottle of wine is an ideal amount for people who enjoy matching complementary wines with different home-cooked dishes. The handy size makes half bottles convenient for picnics, theatre-outings or even at the end of a dinner party when opening another full bottle would be too much. Ø Reduced wastage – even if wine saving methods are used opened bottles of wine degenerate quickly, which negatively alters the taste of the wine if the full bottle is not required. Ø Healthier options – With government initiatives such as drinkaware highlighting the dangers of long term excessive drinking, the need to limit intake is more pertinent than ever before. Half bottles of wine allow consumers to enjoy wine without the guilt of opening a whole bottle. Ø Increased variety – Half bottles allow consumers to broaden their palate and try new varieties in a more cost effective way. Ø Cost effective – Half bottles of fine wines are better value than regular sized bottles if you do not wish to finish the whole bottle. The range also includes everyday wines, which are low cost, true to type and do not compromise on quality. Ø Accelerated maturation – Half bottles reach their peak faster than 75cl bottles so consumers can drink mature red wines sooner. Ø Drink better quality wines – Half bottles encourage consumers to choose quality over quantity. Research illustrated that the halfwine.com target consumers are quite clear about what variety of wine they like to drink, however they become unsure which exact wine to buy when faced with plentiful options differentiating the vintage, region and viniculture within each variety. The halfwine.com team guarantee that all wines offered are from a good vintage and are excellent examples of the variety and typical of the region. The range comprises old and new world Chardonnay, Sauvignon Blanc, Cabernet Sauvignon, Merlot, Pinot Noir, Shiraz, champagne, sparkling and dessert wine. There are also ‘guest’ wines from lesser known varietals such as Riesling, Gewürztraminer, Gamay and Sangiovese. Wines can be bought singularly, by the case and as a tasting or gift-pack selection offer a comparison of varieties and styles for consumers who are unsure or looking to widen their palate. The halfwine.com wine club offers a monthly subscription of four or six half bottles cases categorised by white, red or seasonal varieties. “Wherever possible we buy from family owned, organic winemakers who make wines that are typical of the varietal from that part of the world.” Comments Kevin Dilton-Hill, the founder of halfwine. “Costwise, it is rare to find a quality bottle of wine under £10 but decent half bottles start around £6, which is less than the price of an average glass of wine in a wine bar or pub. You can afford quality half bottles every night and don’t have to feel that you need to finish a full bottle or save the leftovers. “It’s great to have wine with dinner but a bottle, even between two, is not so healthy on a daily basis. And, if you live by yourself, after a day or so the wine has lost its quality and so you either land up drinking poor quality wine or throwing it away. halfwine.com is about enhancing your lifestyle, perhaps you should treat yourself to a half a bottle of bubbly every now and again – less is more. Mini wine tastings of half bottles are not expensive and allow consumers to experiment with different styles and flavours.” Comments Dilton-Hill. 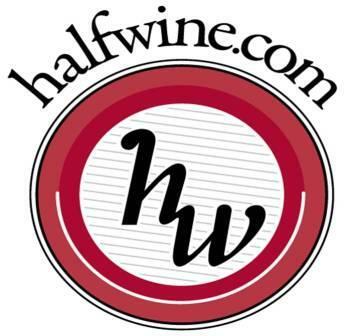 The halfwine.com founders have been buying half bottles for more than twenty years and know just how difficult it is to source quality wines at a fair price. Kevin Dilton-Hill and his team have personally tasted many examples of every style in the range, and selected the best wines. They have toured many of the wineries and the website includes a blog of the halfwine.com travels giving information about the wineries they visited as well as restaurants and local hotels across France, New Zealand, Australia, South Africa and Argentina. They select wineries with a good reputation and also search out the smaller, owner-managed, organic places. 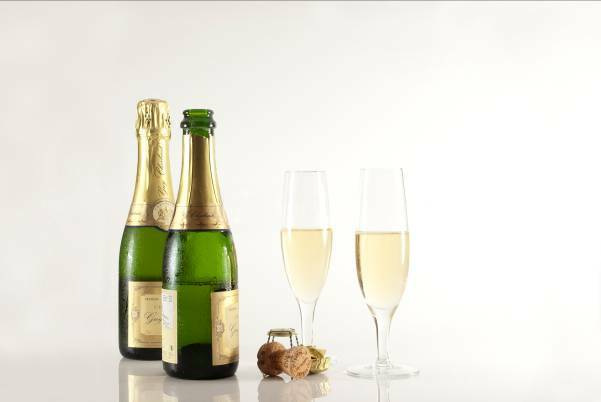 Ø Champagne Gift Pack (2 x 375ml) – Two half bottles (375ml) of Guy Charbaut NV, Cuvée de Réserve Brut 1er Cru Champagne can be delivered to anywhere in mainland UK for £34.90 including delivery, the same price as a medium sized bunch of flowers. Ø Bordeaux and Burgundy 2005 (4 x 375ml) – includes two 375ml half bottles of both Harmand-Geoffroy, 2005, Gevrey Chambertin; and a Chateau le Chatelet 2005, Saint Emilion Grand Cru. Available on halfwine.com for just £38.90 including delivery. Ø Dinner Gift Pack (4 x 375ml) – Start with a champagne aperitif Guy Charbaut NV, Cuvée de Réserve Brut 1er Cru; complement your starter with a Chablis -Domaine Jean Defaix 2009; enjoy your main with a Burgundy – Harmand-Geoffroy 2005, Gevrey Chambertin; and finish with a Sauternes, Chateau Sainte Helène 2007. Available on halfwine.com for just £46.10. This entry was posted on October 6, 2011 by The Oenophiliac in News..